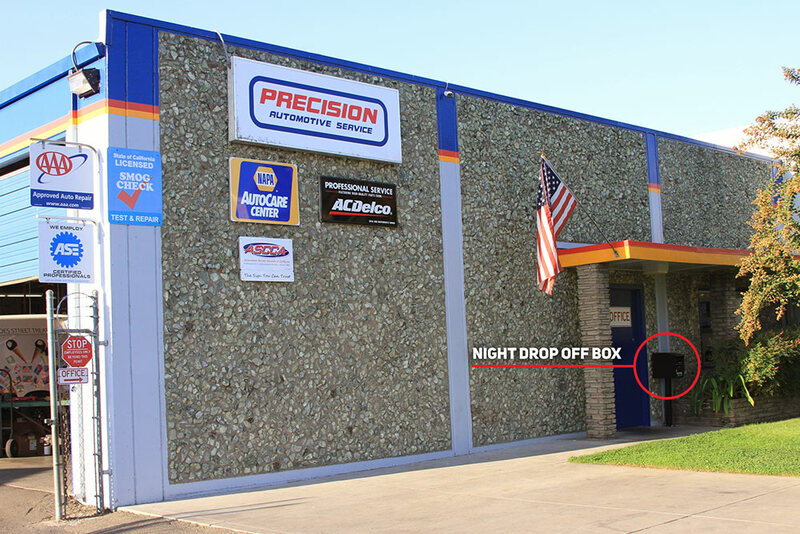 For your convenience, we have a night owl / early bird drop off box located at the right side of our front door. This way, you can either drop off your vehicle in the wee hours before work or hop on light rail, or drop it off late at night. Simply grab an envelope from the top side of the box and fill it out and secure your keys inside. Above this, the box has a cut-out where you can safely keep your information and your keys for the vehicle for our service advisor Scott to write up in the morning.